The right to be armed could be included in the Czech constitution. This controversial proposal was discussed by the Czech government this week, with the proposed EU Firearms Directive being mentioned frequently in the debate. The amendment was backed by the Social Democrats, the main coalition party. The position of other coalition members was not so favourable. ANO 2011, which is currently leading in the polls, was the strongest opponent. The government has not reached any conclusion on the matter. However, the author of the proposal – Interior Minister Milan Chovanec – perceives this as a positive sign. Now it is time for the Czech parliament to decide. In order to pass, the amendment would have to get the support of at least three fifths of deputies and three fifths of senators. Chovanec hopes that the act will be approved before the parliamentary elections in October. Chovanec claimed that there is only a peripheral link between the amendment and the EU’s Firearms Directive restricting acquisition and possession of weapons. But the explanatory memorandum of the Czech act reads that “the proposal has to be perceived in the context of European Commission’s efforts to limit owners of legal weapons under the pretence of fight against terrorism”. The original proposal presented by the Commission aimed at a ban of all semi-automatic weapons. The European Parliament’s internal market and consumers committee (IMCO) revised the Firearms Directive and added specific exceptions for current legal owners, sport shooters or military reservists. 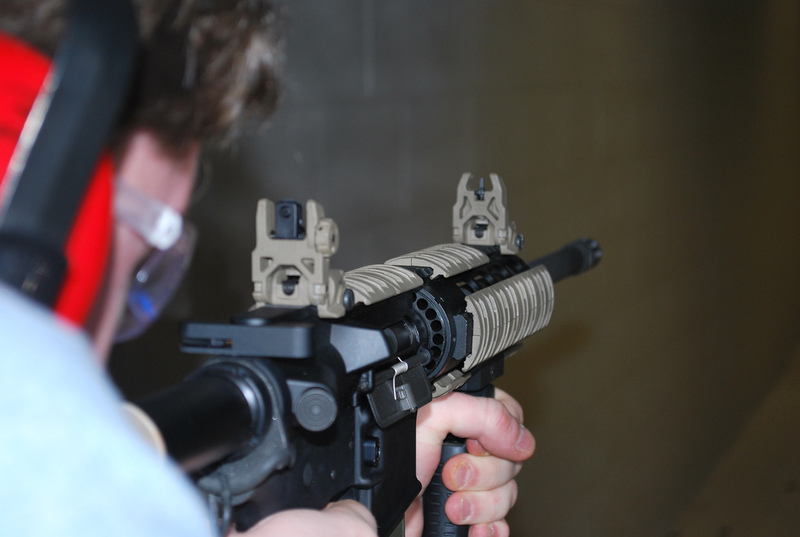 Semi-automatic weapons with low-capacity magazines should remain legal, too, according to the committee. Gun owners in the Czech Republic are still strongly opposed to the European proposal and called politicians for help. Almost all of the Czech MEPs have already expressed their negative position to the Firearms Directive. The only Czech in the European Parliament who supports the new directive is TOP 09 MEP Luděk Niedermayer (EPP). In his point of view, the amended version of the directive is acceptable. 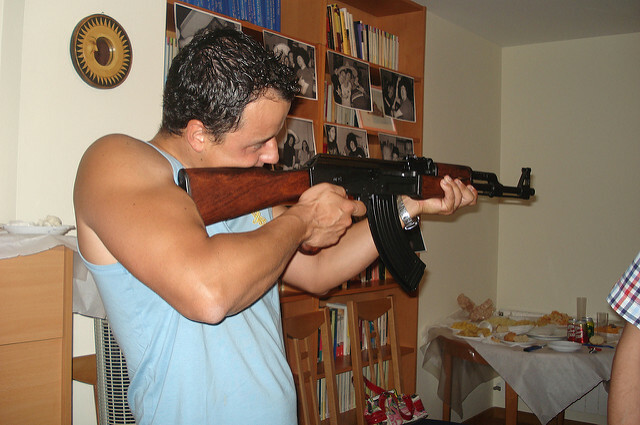 It does not demand any expropriation of weapons from current legal owners and includes useful provisions such as the better sharing of information among member states or common rules on marking of firearms. “No directive will stop terrorist attacks. But it sets clear rights to possess weapons for whole Union, where people and guns can move quite easily,” Niedermayer said. 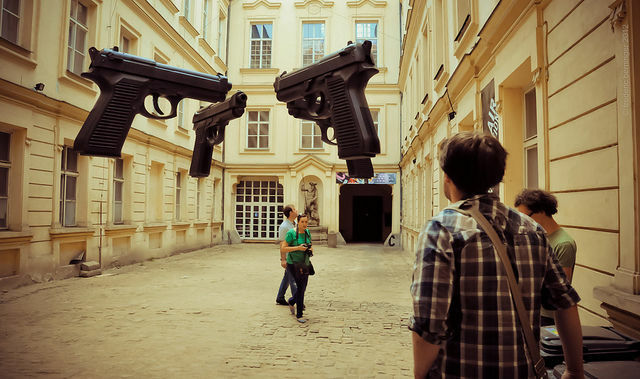 The Czech government debate on the constitutional amendment was preceded by meeting of the interior minister with representatives of gun owners. He received new package of signed petitions against the Firearm Directive. It has so far been signed by 50,000 people. 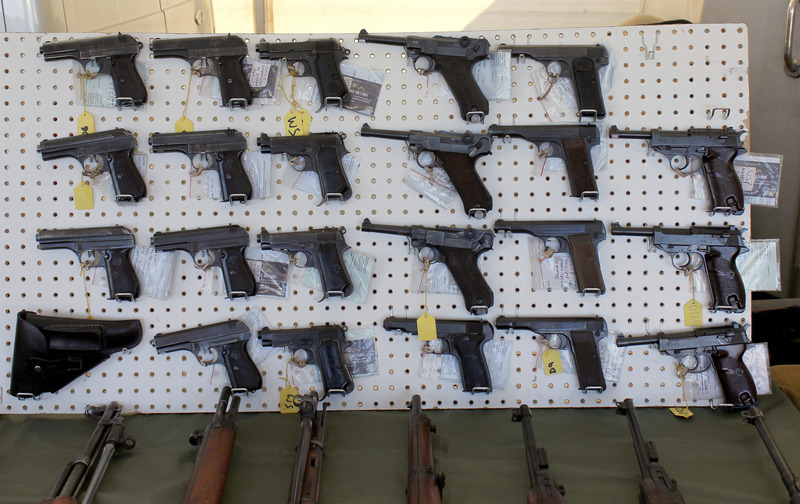 Currently there are more than 300,000 gun owners in the Czech Republic. “We will do our best to protect their rights,” Chovanec said. He also noted that “in the beginning Europe had good intentions, but the realisation could be given an F-“. The Czech’s are Europe’s conscience on this issue and are standing up to the elites. For more Kids death ? Give Czech to Russia back . This State doesn’t belong to the European Union . Ministers are corrupt in Czech . Kick ’em out . There are no kids deaths you refer to here. that’s really a non-factual answer compared how many kids died in the U.S. because of irresponsibility . According to the CDC, 76 children died in the US in 2015 due to the accidental or negligent discharge of a firearm. This is 0.0000023% of the US population. Assuming that 100% of those cases can be contributed to “irresponsibility” (which no sane person ever could), these deaths, while tragic, are insignificant by any statistical analysis. You seem to be ignoring the CDC report which point out that over 2,000,000 people protect themselves from criminals each year, and 99% of the time a shot isn’t even fired. It would probably be good for any country that is interested in the safety and freedom of its citizens to leave the EU. The Czech Republic understands all too well what can happen when a totalitarian government runs roughshod over their people. This isn’t ancient history for them. ANY government or political party that advocated disarming citizens does so for one reason. They don’t want citizens to have the ability to protect themselves from that government or party agenda. If you’re disarmed, you’re helpless and dependent on their good will. You go from being a citizen to a subject. The only reason behind this is EU’s attempt to disarm legal gun owners, which goes against Czech core values, since we have already been disarmed twice, first by nazis, then by communists, now EU is trying to do the same, and they plan to “go further”, they don’t even try to hide it. This is no “terrorist hunting permit” or “gun to every family”, that is just a lie that fake media payed by EU spread. It may be that you are still haunted by Nazis even Communists after more than 70 Years but if disarm “legal” gun owners goes against Czech core values the it can trigger the Art.50 as well . Are citizens responsible for internal and national security,? Or Do Czechoslovakia not have an authority of ministry of defense ? Political corruption thus especially bribery and thefting -lack of supervising mechanism -high murder rate. Maybe if you think by carrying gun freely a country will be safer … I don’t …Because you are a neutered European beta male. When the SHTF next time, do NOT cry for Americans with firearms to bail you out yet again. You are on your own. Yes, we are very sensitive to tyrrany. Also, Czechoslovakia does not exist for over 20 years. Also, Murder rate is low. Also, Yes, it will, as it already does. Oh goy, you lack basic information. I AM AN INDEPENDENT IN AMERICA. I LEAN MOSTLY TOWARD LIBERAL POLICIES WITH THE STEADFAST EXCEPTION OF GUN CONTROL. BASED ON MY EXPERIENCE I IMPLORE YOU TO KEEP YOUR FIREARMS. The Czech republic has given up a lot of its sovereignty to be part of the EU. But the entire EU project is at risk because the citizens across the EU have no pride in membership. The EU does not have a Bill of Rights for their citizens that includes the right of self defense, using legally-held firearms. So national governments like the Czechs may resist this attack on their freedom but they have no EU constitutional right to appeal to in order to guarantee the protection of their citizens. That is not the fault of the Czech government, it’s the fault of an EU bureacracy that is out of touch with the needs of its citizens.